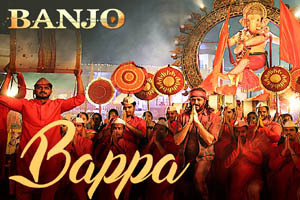 Beautiful devotional song on Lord Ganesha is sung by Vishal Dadlani featuring Riteish Deshmukh. The video of this song is available on YouTube at the official channel Eros Now. This video is of 3 minutes 18 seconds duration. Lyrics in Hindi (Unicode) of "बाप्पा"